You generally install software with the help of Installer on Windows computer. But it turns out to be very difficult to keep the track of the total number of software. To make this count simple there is a an application from Nirsoft that is termed as InstalledPackagesView. This is a utility that works for Windows 10 and its predecessors alike. 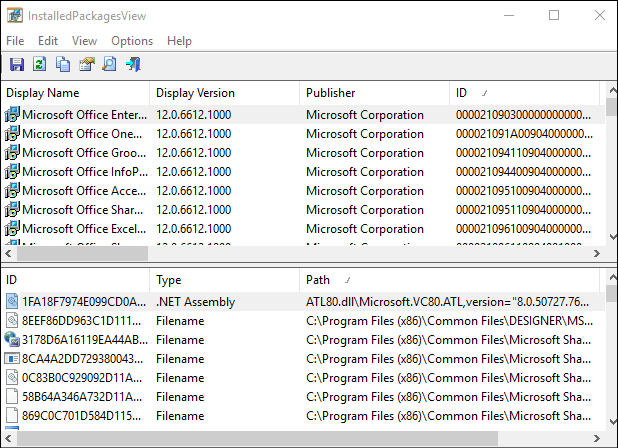 It is capable of showing the total number of software packages installed on the PC in a tabular format. Along with the software, it also figures out the files, Registry keys, and all other related and relevant details.